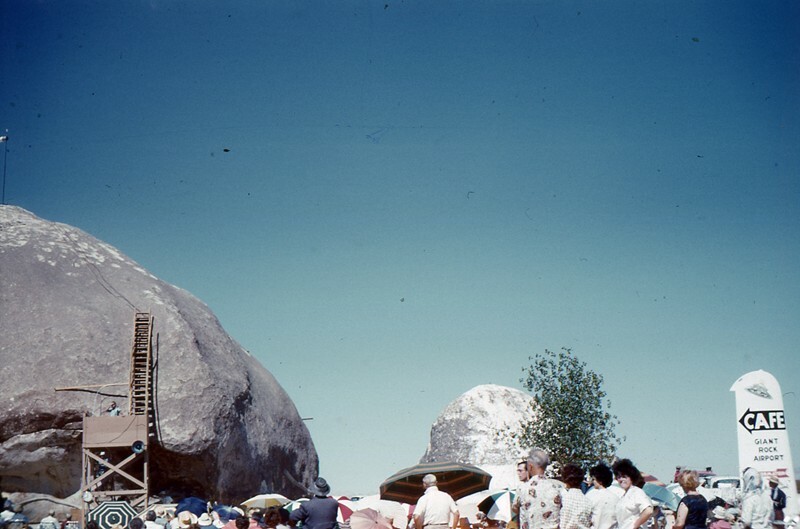 1957-1958 were the formative years of the Swedish UFO movement. Before 1957 there were no formal societies dedicated to the UFO enigma, only a few isolated individuals with a personal interest. 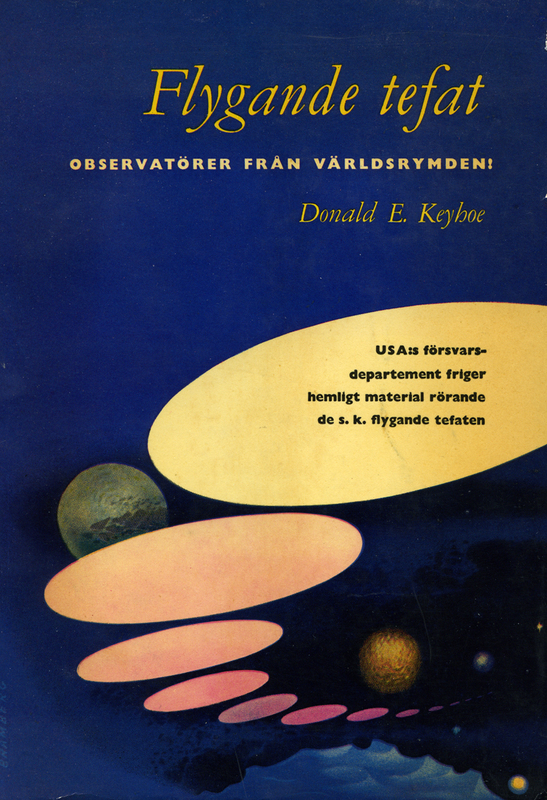 Behind the Flying Saucers by Frank Scully was published in a Swedish edition 1951 (De flygande tefaten) and in 1955 Swedish ufologist K. Gösta Rehn had translated Donald Keyhoe´s Flying Saucers From Outer Space (Flygande tefat – observatörer från världsrymden). 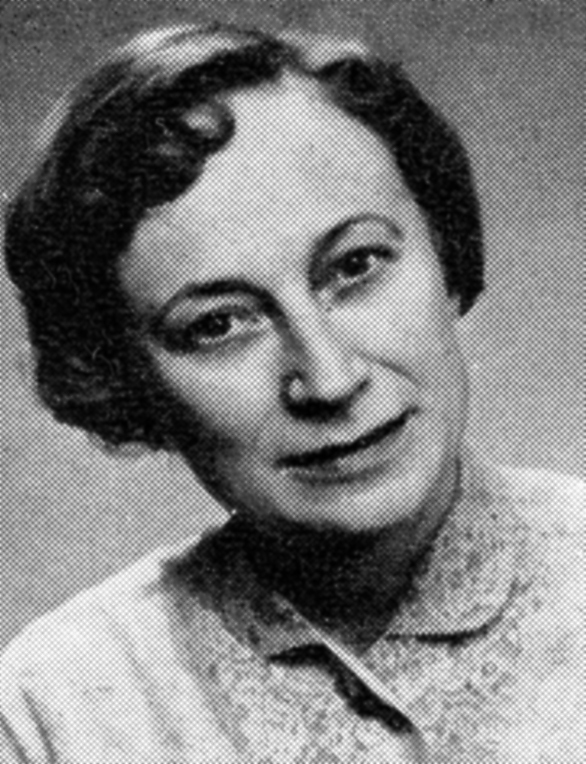 In July 1957 Danish-born Ms Edith Nicolaisen founded the publishing house Parthenon in Helsingborg. The Board included three women, all active in the Theosophical Society (Adyar), Brita Rodosi, Rut Lindberg and Sonja Lilienthal. Parthenon published several of the classic contactee books of the 1950s and inspired the formation of UFO societies in Sweden. 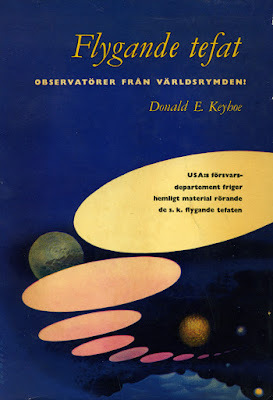 On March 19, 1958, Sällskapet för Interplanetariska Studier (The Society for Interplanetary Studies) was founded at Chalmers University of Technology, Göteborg. It was initiated by the women in the Parthenon board but the the society was a very short-lived organization consisting mainly of university students. After a visionary experience in 1950 Theosophist Jan-Erik Janhammar, together with his friends Gustaf Adolf Pettersson and Gösta Eklund, founded the lecture society Måndagsgruppen (The Monday Society) in Stockholm, 1951. It became a free and open minded forum where people from various religious, philosophical, esoteric and New Age groups met for lectures and discussions. This rather remarkable society celebrated 35 years of activity in 1986 after having arranged 1336 lectures. In March 1958 Måndagsgruppen faced the predicament of having no lecturer for the coming week. A suggestion was then made to invite Mrs Kerstin Bäfverstedt for a lecture on flying saucers. The lecture was a huge success and was held once again a week later, when enrollment lists were circulated for those who wanted to participate in the formation of a UFO society in Sweden. On March 23, 1958 Ifologiska Sällskapet (The Ifological Society) was formally founded and announced in the press. This society folded in 1969. Before the founding date there had in fact been an informal group of UFO interested persons belonging to Måndagsgruppen, calling themselves The International Space Investigators (IS), later referred to as ”The Nine”. According to a an university essay on the history of Ifologiska Sällskapet by ufologist Heikki Virtanen, 1980, the members of the IS group were: Kerstin Bäfverstedt, Eric and Gunnel Nordquist, Greta Berg, Anna Lycke, Richard (? ), Karin Lidelius, Britta Ekbom and Hilding Havrenius. Not much is known about this informal group and there is also some different claims regarding their founding. 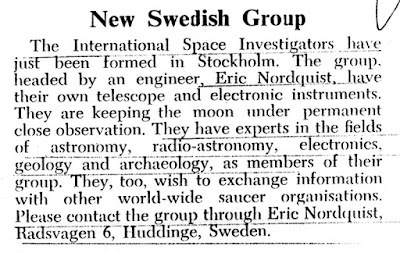 In the March-April 1959 issue of Flying Saucer Review (FSR) a small note says that The International Space Investigators ”have just been formed”, headed by engineer Eric Nordquist. 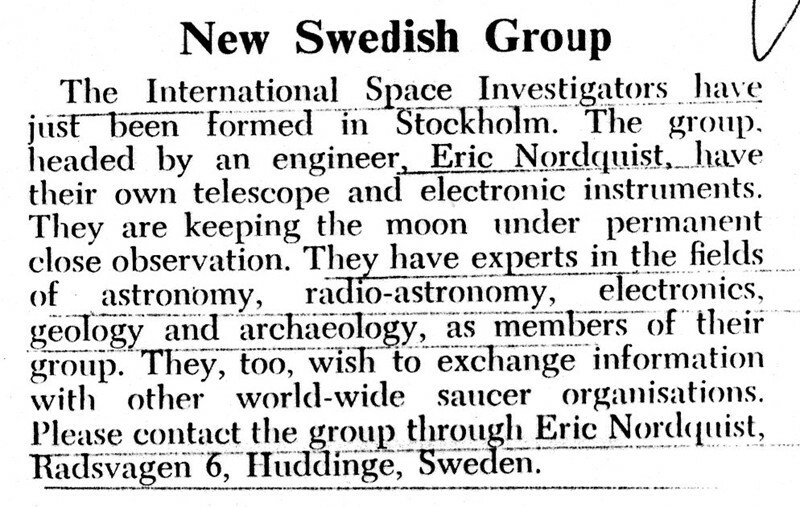 He also wrote a letter to Ray Palmer´s Flying Saucers, July 1959, presenting IS as ”a small, exclusive group living in Stockholm”. I haven´t been able to find any more data on IS and they were probably a short-lived informal group of friends interested in UFO research. Kerstin Bäfverstedt (1909-2000) became fascinated by Theosophy, reading Helena P. Blavatsky in her early teens. This initiated a lifelong spiritual quest involving Spiritualism, esotericism, paranormal phenomena, alternative healing practices, UFOs a.o. Kerstin was married to Bo Bäfverstedt in 1936, MD, later Attending Physician and Professor at Södersjukhuset 1946-1979 (Stockholm South General Hospital). In 1957 Kerstin Bäfverstedt lectured on reincarnation at Stockholm Spiritualist Society, a lecture that was published as a series of articles in the magazine Spiritualisten: ”Människans liv. Från födelsen – genom döden – till återfödelsen” (The Life of Man. From Birth – Through Death – to Rebirth). The articles are partially based on the works of Max Heindel, founder of The Rosicrucian Fellowship. Kerstin was a member of the Swedish Section of The Rosicrucian Fellowship since 1956. She was also a frequent lecturer to local Spiritualist groups in Sweden. During her many travels around the world Kerstin visited researchers and leaders of various societies involved in UFO and paranormal investigation. In the United States she became a good friend with several members of Borderland Sciences Research Foundation (BSRF): Riley Crabb, Trevor James Constable and Dr. Ruth Drown. She was for many years Regional Director of BSRF and her letters and comments were sometimes published in Round Robin. The Journal of Borderland Research. During the 14-15 October 1961 Kerstin participated in The Giant Rock Space Craft Convention, organized by George Van Tassel. 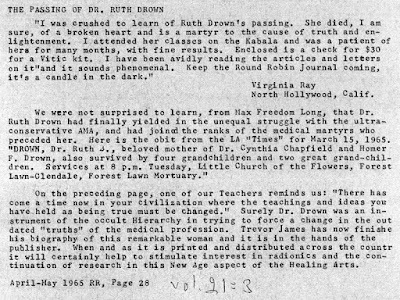 BSRF associate Dr. Ruth Drown (1891-1965) became a lifelong friend and they often visited each other in USA or Sweden. ”… she was my dearest friend that I will never forget” Kerstin recounted in a letter to Round Robin, May-june 1976. 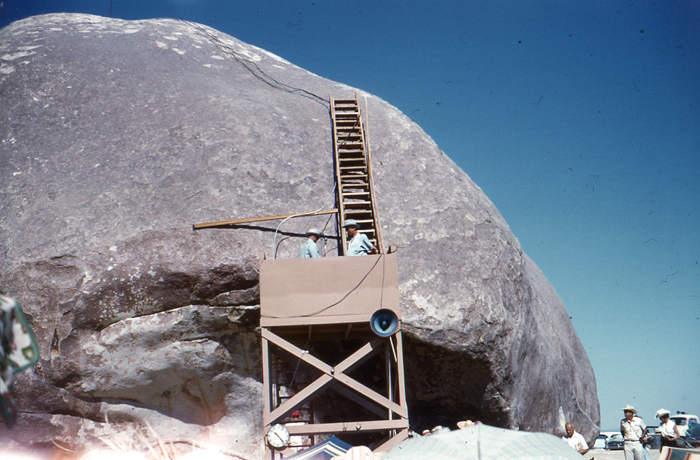 They corresponded between 1962-1965. 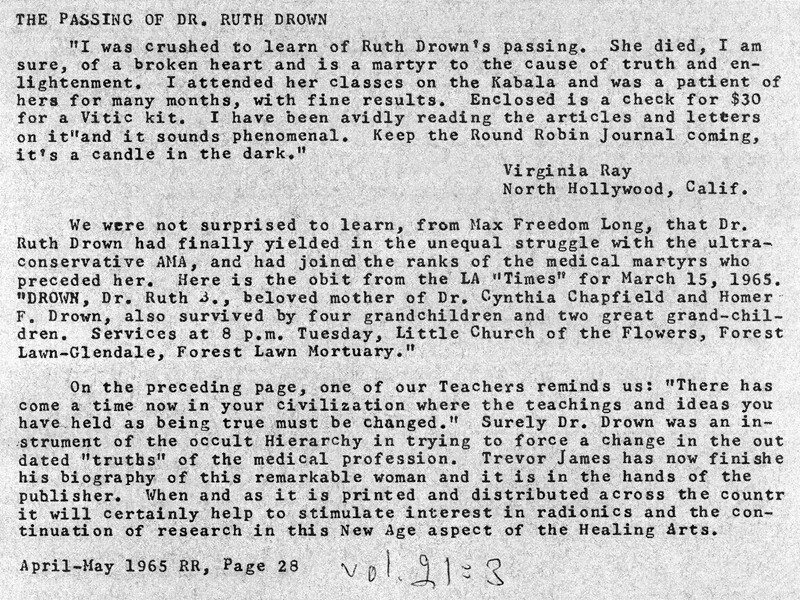 Ruth Drown was an American chiropractic and proponent of Radionics which led to many controversies with the American Medical Association (AMA). 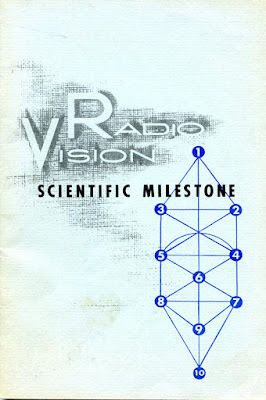 She was also one of the associates of BSRF and lectured on the Kabbalah, which is evident from the front page of her book Radio-Vision. Scientific Milestone. 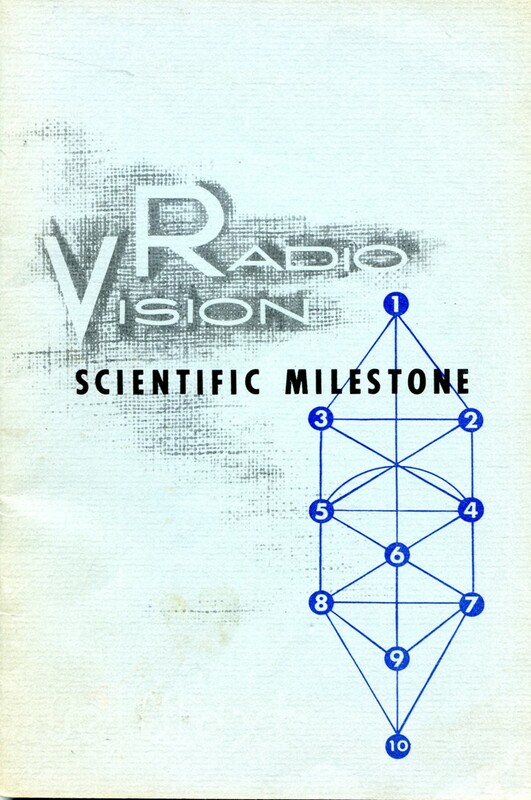 A Research Activity of Drown Laboratories, published in 1960. 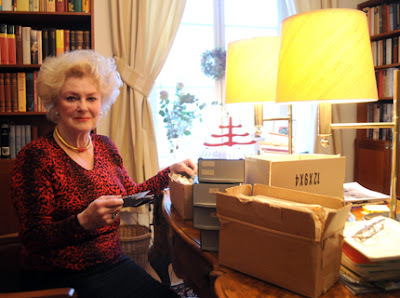 In 2013 the archive of Kerstin Bäfverstedt was generously donated to AFU by her daughter Eva Sundler Malmnäs. 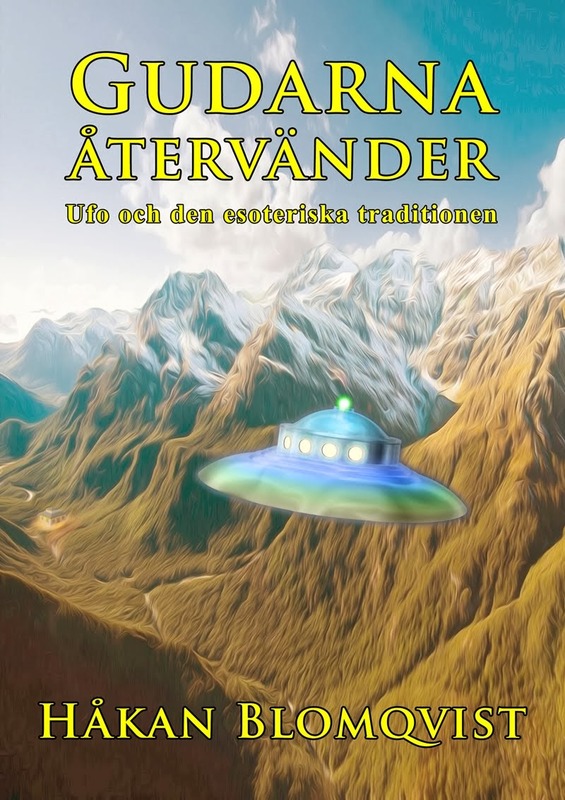 From a historical viewpoint it is interesting to notice that the ideas of Borderland Sciences Research Foundation, because of Kerstin Bäfverstedt, influenced the Swedish UFO movement. It also reinforces my assertion that the ufology in Sweden was to a large extent initiated by persons active in various esoteric and spiritualist societies. It is August 27, 1989. My AFU friend and colleague Anders Liljegren and I are traveling by car to an apartment in Bromma, outside Stockholm, where the late Swedish UFO research pioneer K. Gösta Rehn spent his last years. He died on June 17, 1989 at the age of 98. 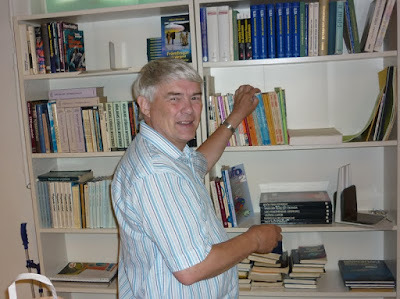 Already in 1978 Rehn had donated part of his collection of books and magazines to AFU. He had also told his daughter, Greta Frankel, that the remaining archive, mainly consisting of correspondence, would go to AFU after his death. Eager and expectant we enter the apartment and are met by Greta Frankel. Stunned and surprised we find only a few remaining books and magazines on the shelfs. We naturally ask Greta Frankel where all the correspondence is placed? Shocked and dismayed we are told that, about a week ago, she had dumped all correspondence in a container at the back of the house. Disheartened we walk to the back of the house and in a container filled with lots of trash we locate 32 binders of correspondence, all in good condition. In a state of euphoria we load the binders into our car for transportation to AFU. During the travel back to Norrköping we praise fate for our almost incredible luck and success in this endeavor. These 32 binders contain, especially for researchers, invaluable correspondence with UFO witnesses, ufologists and scientists from all over the world. 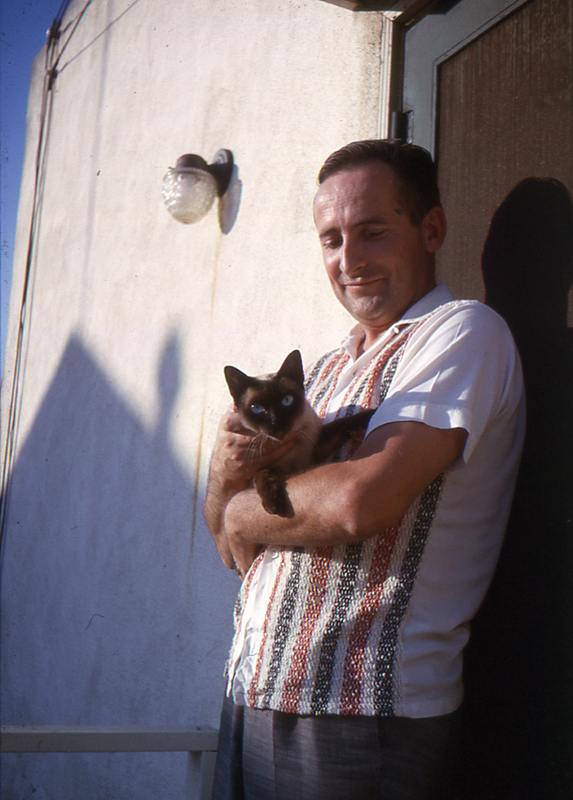 A treasure trove of fascinating data giving personal insights into the UFO movement of the 1950s. 60s and 70s. As K. Gösta Rehn was the Swedish representative of APRO there are 220 letters exchanged between Rehn och Jim and Coral Lorenzen. Part of APRO correspondence was an important source of data for David Booher when writing his recently published No Return. 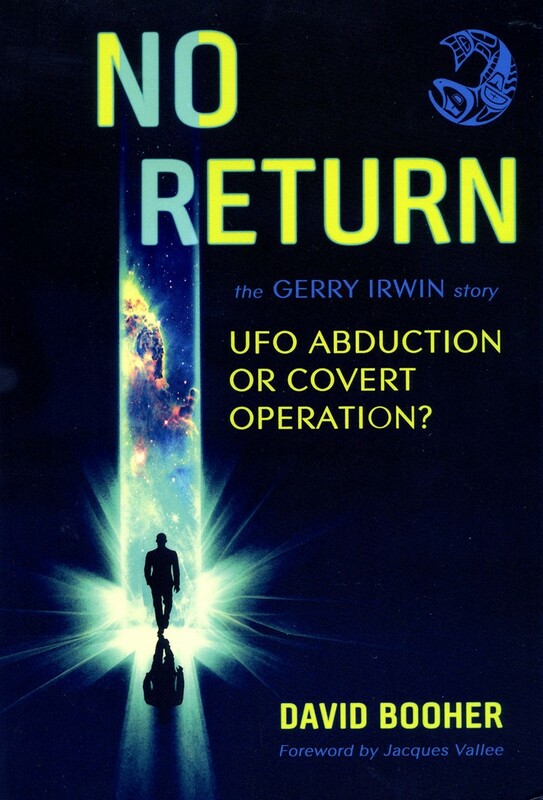 The Gerry Irwing Story, UFO Abduction or Covert Operation? I have never really understood people who find archives dull and unimportant. Perusing a recently donated archive at AFU is for me like entering a new and unknown universe full of fascinating information. In September 1989 I spent a week reading all the Rehn correspondence, resulting in a large biographical article and later a chapter in my first UFO book UFO – i myt och verklighet, 1993 (UFO – In Myth and Reality). 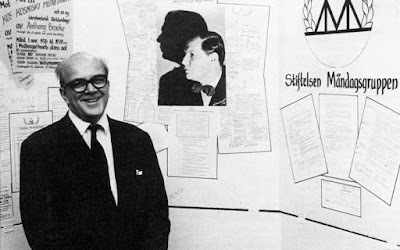 By reading the complete correspondence file of K. Gösta Rehn I received an unprecedented insight into the personal life, research and theories of one of the real pioneers of Swedish UFO research. 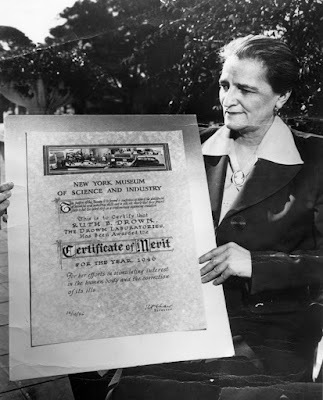 Another pioneer in the Swedish UFO movement was Ms Edith Nicolaisen (1911-1986), founder of the publishing house Parthenon in July 1957. 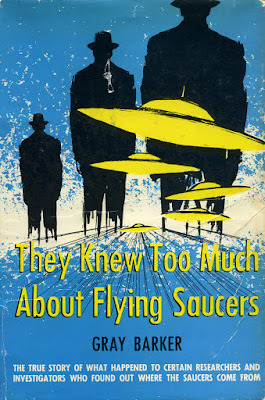 Edith Nicolaisen began corresponding with George Adamski in 1954 and the first book published in Swedish in October 1957, was Flying Saucers Have Landed by Desmond Leslie and George Adamski. Her second aim was to form as many UFO and new age groups in Sweden as possible. Parthenon published several of the classic contactees of the 1950s: George Adamski, Daniel Fry, Ray and Rex Stanford, Elisabeth Klarer. Edith Nicolaisen corresponded with hundreds of ufologists, contactees, esotericists and new-age activists from around the world between 1950-1986. In 1985 Carl-Anton Mattsson and Mats Nilsson, UFO-Sweden, became concerned for the future of Parthenon and the large archive of the publishing house. Mats Nilsson wrote a letter to Edith Nicolaisen resulting in a meeting, October 1985, at Nicolaisen´s apartment in Helsingborg. Edith was by then old and frail and during the meeting decided donating the Parthenon archive and in the future also the publishing house, provided Carl-Anton Mattsson and colleagues continue publishing UFO and New Age literature. 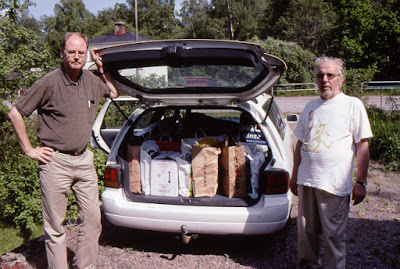 On November 9, 1985 Carl-Anton Mattsson and I travelled to Helsingborg loading our hired van with lots of boxes filled with books and magazines. Several trips were made before the entire archive was safely housed at AFU. 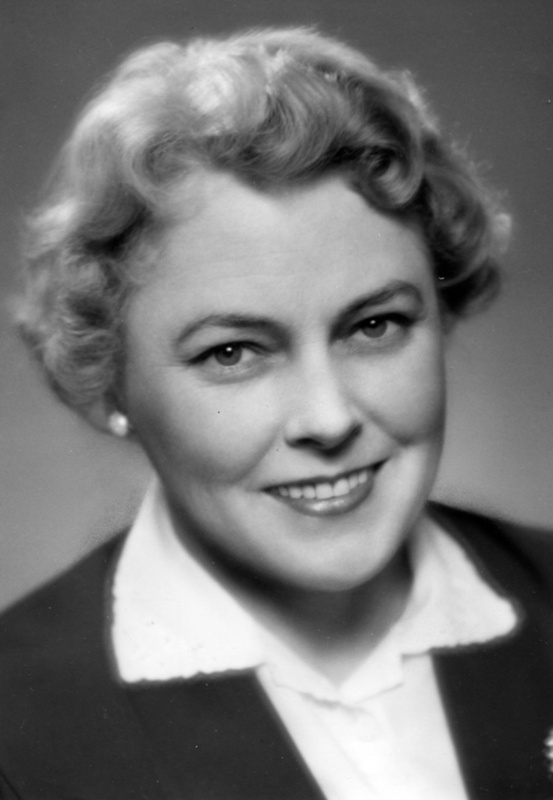 About three months later, February 28, 1986, Edith Nicolaisen died, 74 years old. The very extensive and voluminous correspondence from K. Gösta Rehn and Parthenon has been digitized by Leif Åstrand at AFU. In the 1990s I began a systematic effort to locate old Swedish ufologists and representatives of UFO groups no longer active, to retrieve as many archives as possible. In this way much of Swedish UFO history was saved for future research. Practically all people contacted generously donated their archives but now and then my inquiry came to late and I was informed that all material had been burnt or dumped not long ago. A sad message when the collection was especially large or valuable. But many times Anders Liljegren and I could celebrate a happy ending to our efforts when travelling home to AFU with still another archive in the car. In the 1990s Clas Svahn, together with UFO-Sweden colleagues, expanded the archive retrievals to include several European countries, especially England. As there is no archive institution like AFU in England many British ufologists have donated their collections for preservation in Sweden. Large Schenker lorries are regularly unloading boxes of archival material at AFU, with donations from all over the world. We are especially grateful to be the custodians of the Flying Saucer Review (FSR) and Borderland SciencesResearch Foundation (BSRF) archives. Clas Svahn and colleagues have by now made at least 25 journeys across Europé in pursuit of archives. While I am writing this Clas Svahn and Carl-Anton Mattsson has just arrived at AFU after yet another successful trip to England. 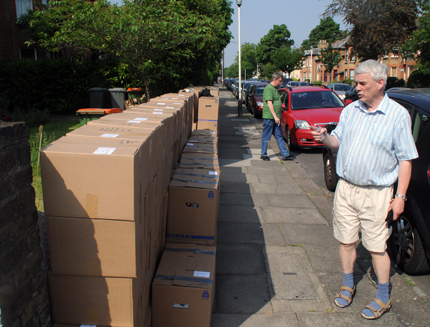 We are now expecting the next Schenker lorry with around 150 boxes of material. 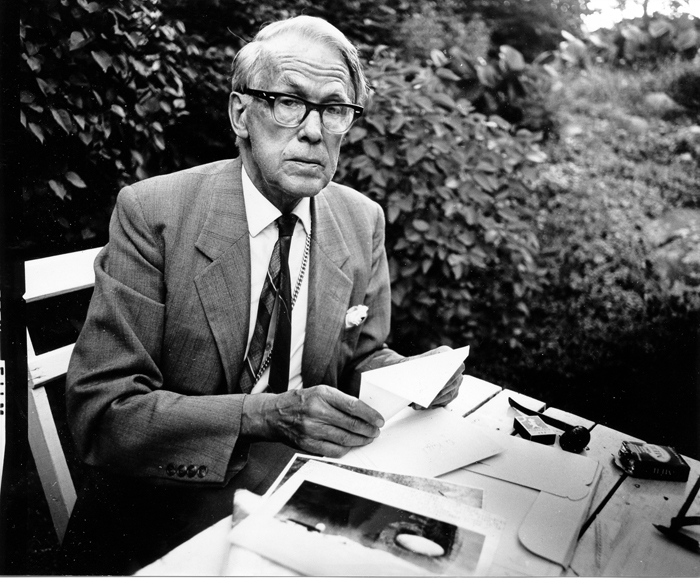 Ivan Troeng, first generation Swedish ufologist. We were promised his archive but relatives dumped the entire collection in a container 2004. 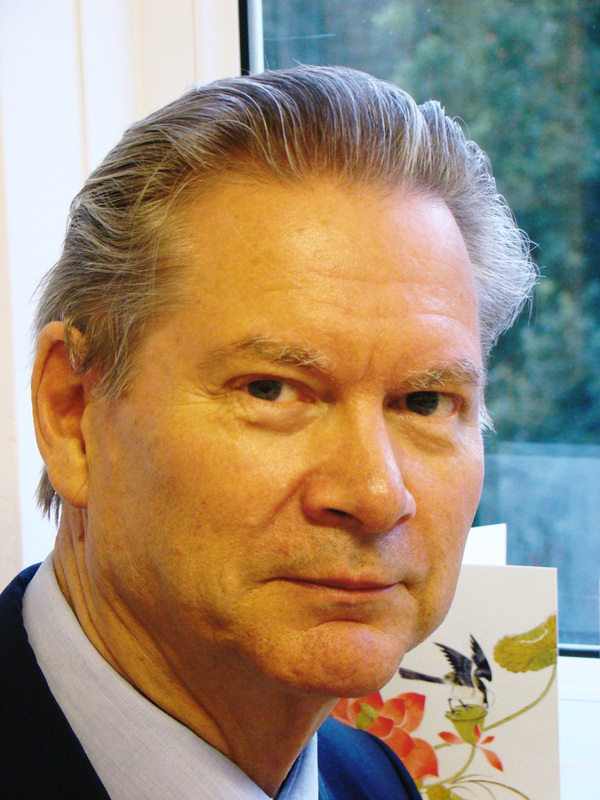 Sven Olov Larsson, first generation Swedish ufologist. His brother dumped the archive although we had been promised to have all material. Bjarne Håkansson (Zacharias Brandt), active in Swedish ufology since early 1960s. He threw away his large personal archive but regret the mistake today. 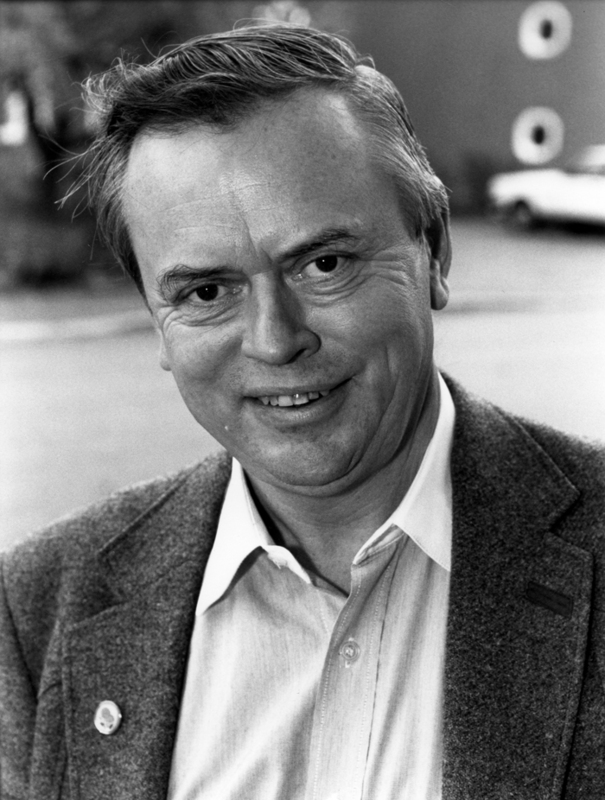 Kolbjörn Stenødegård (1937-1997), Norwegian ufologist. Representatives from the municipality in Norway emptied his apartment and dumped a very large UFO archive. Dr. Helmut Lammer, author of MILABS: Military Mind Control and Military Abductions (1999). In an email to me April 2011 Dr. Lammer claimed to have thrown away his entire archive. My AFU colleagues and I hope that everyone reading this blog will not repeat the same tragic mistakes as shown above. If you do have material of interest to AFU or know of archives in danger of being destroyed, contact us as soon as possible. We will do our best to save the collection for future research. It all began in late August 1971 in a town in East Midlands, England. 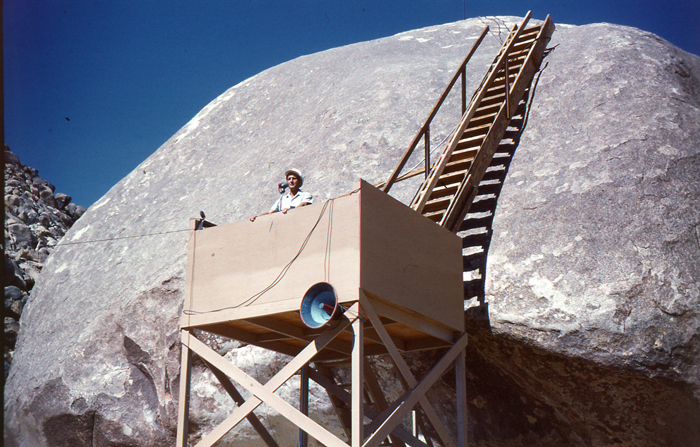 Jim Wilson had observed a white light moving slowly across the sky. Just an ordinary mundane sighting of no special interest but ufologist Derek James, a close colleague of Jenny Randles, made a standard follow up. He was rather surprised to find that two men in smart business suits and driving a black car har interviewed Jim Wilson. The men claimed to be from the Ministry of Defense (MoD) and instructed the witness to forget the sighting as it had been identified as the Russian satellite Cosmos 408. Why would the MoD send two men to interrogate a witness to such an ordinary sighting? Derek James checked the satellite information centre at Farnborough. At the time of the observation Cosmos 408 had been over Canada and had not passed over England at all. Now the witness contacted Derek once more and was rather alarmed because several nights in succession two unknown men in a black Jaguar car had parked outside his house and he was sure they were watching him. Derek James had a relative who was a high ranking police officer and a plan was hatched to check the car as they were perhaps planning a robbery. A police car was asked to keep a look out and on October 19 and 20 the policemen watched the car outside Jim Wilson´s house. The car waited for about thirty minutes and then drove off. A check of the car registration found out that the vehicle did not exist and now the police became really interested. On October 21 a police patrol was ordered to bring in the occupants of the Jaguar for questioning. Following standard procedure the two policemen walked towards the car, one on either side. They noticed two smartly dressed men inside. They were just about to knock on the window when the car simply disappeared into nothingness in front of the astonished policemen. The area was examined but gave no clue to the disappearance. Neither car nor occupants were ever seen again. For rather obvious reasons a cover story was presented in the final police report. This unusual Men In Black case was published by Derek James and Jenny Randles in Flying Saucer Review, vol. 23, no. 3, October 1977. 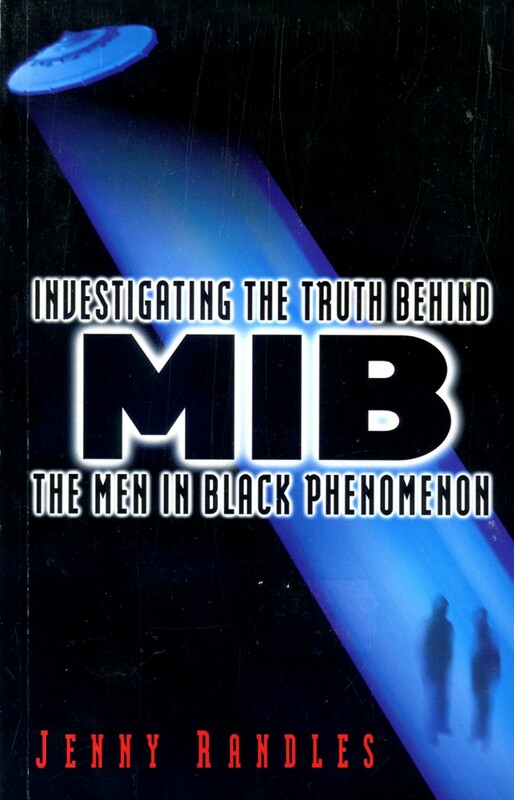 A somewhat updated version was later published in Investigating the Truth Behind MIB the Men In Black Phenomenon (1997). These elusive gentlemen and their mysterious black cars have been reported during the whole of the UFO era and observed by both UFO witnesses and investigators. 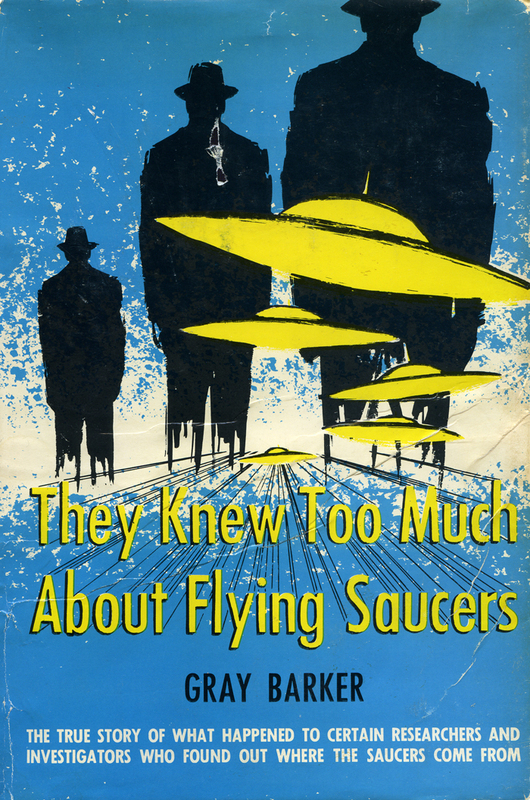 Gray Barker´s classic They Knew Too Much About Flying Saucers (1956) put hem on the ufological map for ever. When John Keel visited Sweden and my home in October 1976 we especially discussed the Men In Black, which Keel regarded as one of the really intriguing aspects of the UFO enigma. He had investigated many MIB encounters, personally trying to chase their strange cars many times as related in his last book The Eighth Tower: “On a number of occasions I actually saw the phantom Cadillacs as advertised, complete with sinister-looking passengers in black suits. On Long Island, following the directions given me in an anonymous phone call, I pursued one of these cars down a dead-end road where it seemingly vanished into thin air (there were no side roads or turn-offs).” (p. 141). This last comment by John Keel is very apt. In many cases these elusive figures behave like some not too intelligent characters from a badly rehearsed amateur play. But the MIB obviously have different origins and agendas as evidenced by the hundreds of cases published. The men confiscating photos, films and other items from witnesses and ufologists are probably intelligence agents. In one of his first letters to me in 1984 Timothy Good mentioned his involvement with the MIB: ”Some of them are from various intelligence branches here on Earth, but other, I feel, are from extraterrestrial or Earth-based advanced groups. I have had MIB experiences myself, and have even taken a photo of a possible MIB and his car (it was rented of course). The photo of the man (who was not actually dressed in black) came out with a black or dark halo around his head, so that one can´t see his face at all… I´ve had my picture taken by shady characters in both the U.S. and U.S.S.R., and had an important notebook stolen from my motel room during one of my many trips to the U.S. Nothing else was taken, although cameras and lenses were in my camera bag on the bed.” (Letter, February 27, 1984). Men In Black encounters are not always threatening. Sometimes witnesses simply report odd looking salesmen or persons acting in strange ways in their vicinity. A Swedish ufologist who have reported such an incident is former chairman of UFO-Sweden, Thorvald (Bevan) Berthelsen. 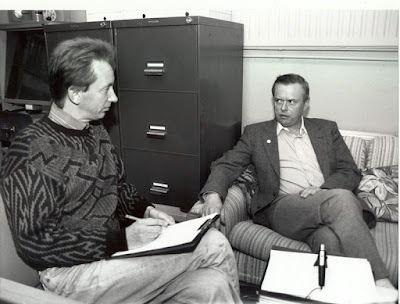 Some of these events were mentioned by Thorvald when I interviewed him on October 10, 1992. In the beginning of the 1970s he regarded UFOs as a "ridiculous, laughable" subject. But something happened in the summer of 1972 that was to change his life. Thorvald Berthelsen and his wife lived in a country house with good views in all directions. On the same day his UFO observation was mentioned in the local newspaper a man knocks on their door. Bevan is met by a man in his thirties, dressed in a brown suit and white shirt. He has dark hair, appears suntanned and his eyes are slanted but still not Asian looking. The man ask Bevan how he is feeling and continue asking about directions. He says thank you and leave. "I thought, who the hell was that? I ran out and looked for him. The road was straight in both directions. If he had come walking I would have seen him. His eyes were slanted. That caught my attention. Afterwards I felt this experience was weird". In 1984 I decided to try a follow up on this case and wrote to Riley Crabb, editor of Round Robin, asking for the adress to the man in Canada. On May 27, 1984 I received a reply from Riley including one of the letters from Canada. When I read Riley´s answer today, I become both surprised and distressed: ”I did find the 1973 file in the attic and am enclosing a Squance letter for you to follow up on. All this old material is going to the dump when I sell out here, hopefully later this year…”. Maybe much of his ”old material” did go to the dump but we at AFU succeeded in saving a major part of the BSRF archive in 2016. To me it is almost inconceivable and a riddle why Riley Crabb would want to dump his extremely important archive. According to John Squance the boy became disillusioned and quit having anything more to do with the ”space people”. It was then that the harassment began. The young man was hospitalized on at least two occasions because of rather inexplicable accidents. The father told John some time later that a man had come into his store asking where the boy was. When the father said ”in the hospital”, the reply was ”Well we told him to keep his mouth shut”. In the letter to me John said that both the young man and his father were now dead. In a follow up letter July 19, 1984 John mentioned that the young man died of ”a mixture of alcohol and drugs. Possibly mental harassment”. 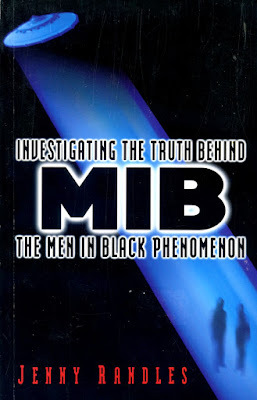 This information makes it rather likely that the MIB story was a paranoid fantasy, the result of the young man´s drug abuse and the black suited man who entered the father´s shop some local mafia leader involved in illegal drug trafficking. Unless, of course, this is evidence of covert activities of an unknown mafia group, earth-based or extraterrestrial? 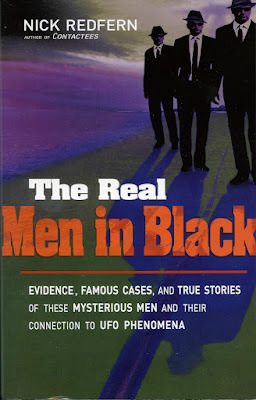 Although the Men In Black is definitely a serious and possibly dangerous aspect of UFO research I must relate a rather amusing story how the Men In Black became a help to UFO-Sweden. 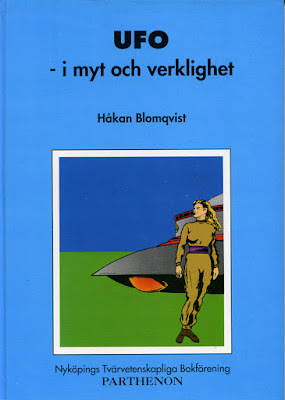 It is told in the autobiography of Mats Nilsson, one of UFO-Sweden´s oldboys still active as board member. 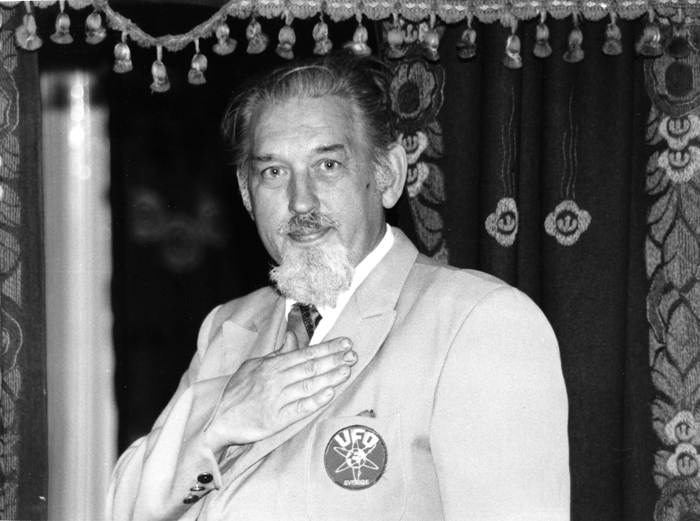 In the 1970s and 80s a very eccentric old gentleman, Karl-Gustav Porath, always attended the annual UFO-Sweden conferences. He placed himself in the front row with a large tape recorder. Porath always had fantastic UFO contact stories to relate, unfortunately often to the visiting journalists, which gave UFO-Sweden unwanted publicity. One of his stories told of how he could make ordinary flies fly in military formation. In 1979 UFO-Sweden arranged a large UFO exhibition and lectures at the National Museum of Science and Technology, Stockholm. When Mats Nilsson and Håkan Ekstrand from UFO-Sweden discovered that Karl-Gustav Porath was there as usual they came up with a brilliant idea. Mats and Håkan approached Porath, who was deadly afraid of the Men In Black, and told him the MIB was among the public, disguised as journalists. Porath was very glad to get this information and didn´t talk to any reporter about his experiences. Mission accomplished!